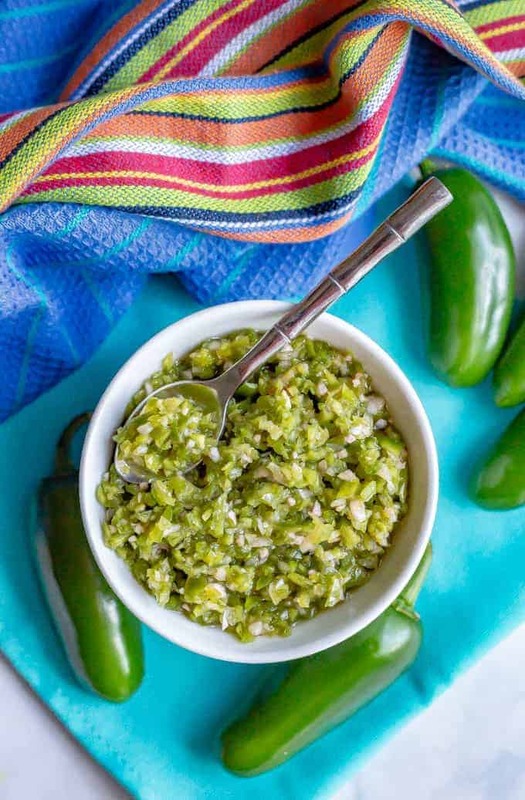 Fresh jalapeño relish is an easy, 10-minute, no-cook recipe for a slightly sweet, slightly spicy topping that’s delicious on burgers and hot dogs, tacos and nachos, rice bowls and even eggs! This is a sponsored conversation written by me on behalf of Walmart. All thoughts and opinions are my own. Hiya friends! How is your week going? But now food. 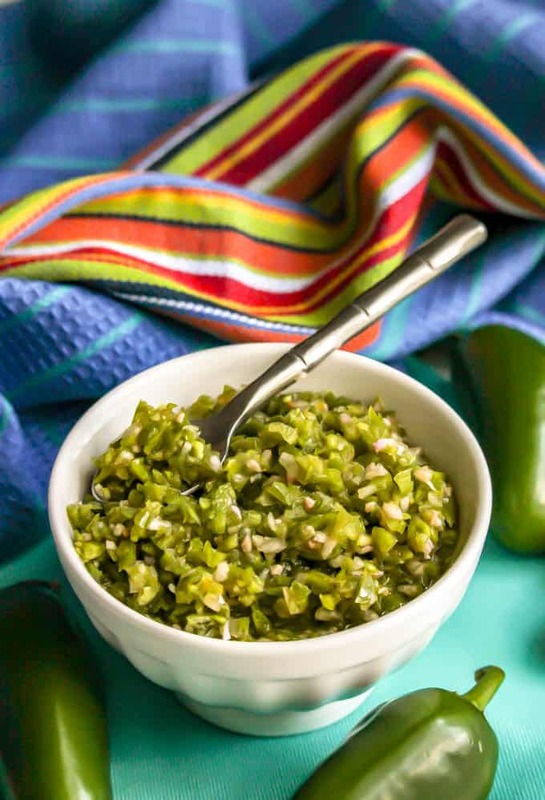 You are going to fall in love with today’s recipe for this easy fresh jalapeño relish! And you’re going to want to put it on ALL the foods! 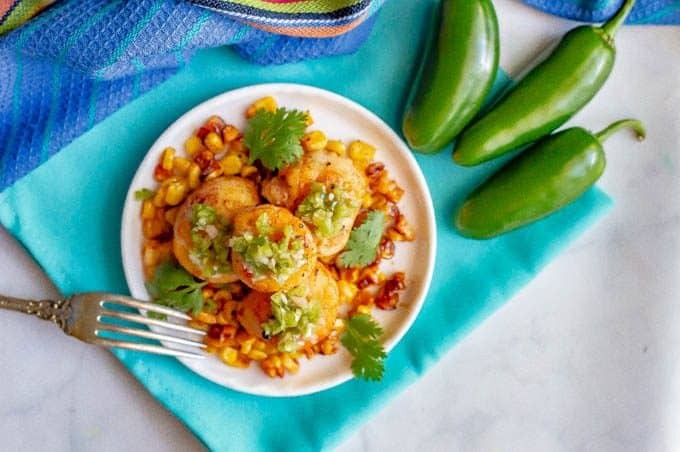 It’s slightly sweet, slightly spicy, slightly tangy and just ALL kinds of delicious! We love using it for: burgers, hot dogs, grilled chicken or fish, nachos, tacos, wraps, sandwiches, rice bowls and even eggs. And I’m so happy to be supporting Walmart and their push to work with farmers and use locally grown produce in their stories. My local store here has gorgeous jalapeño peppers from Bailey Farms of Oxford, N.C. I love being able to buy my peppers local and support nearby farmers. 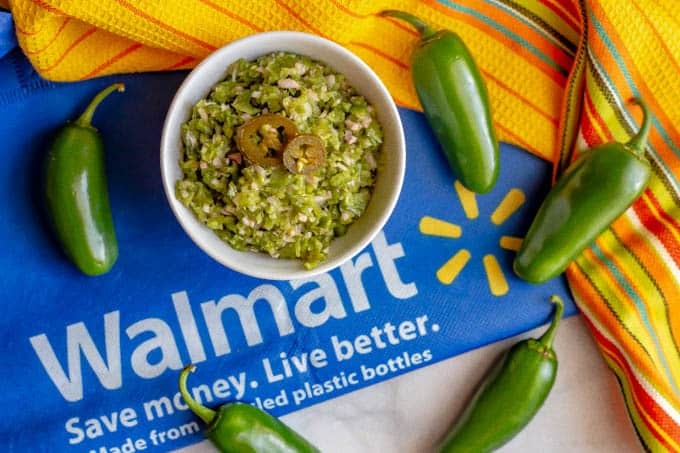 Also, Walmart teamed up with five chefs across the country to drive awareness of using fresh, locally grown produce. The culinary program is called “Rediscovering America,” and it’s going to be made into a documentary! Back to this relish though! It’s going to be your new favorite flavor booster! To make a less spicy relish, remove all of the seeds and membranes from the jalapeños before adding them to the food processor. You can also taste the relish and add an extra squeeze of honey if desired for a sweet jalapeño relish. 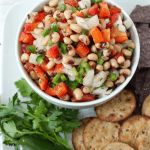 For a spicier relish, leave some of the seeds and membranes in for this dish. The more you leave in, the hotter it will be, so be careful! You can also add a few dashes of hot sauce to the final relish to adjust the level of heat. 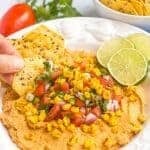 If you have whole garlic cloves, you can also roughly chop those and then throw them in with the jalapeños and red onions to get minced in the food processor. 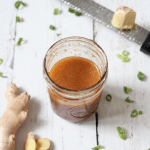 I use apple cider vinegar, which adds a bit of sweetness along with the acidity of the vinegar. 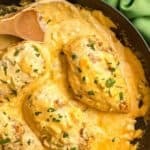 You could also use white wine vinegar or regular vinegar and then add some extra honey to adjust the flavor at the end. Want a fruity twist? 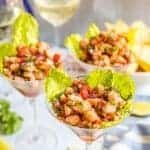 You can add pineapple or mango to this salsa to make a sweeter, fruity version of jalapeño relish. I’d add that before adding the honey and then taste to adjust to your liking. So, my friends, if you can’t grow a garden or hit up the farmer’s market, now you can just head to your local Walmart and check out their produce from nearby farms in your area! And definitely snag some jalapeños and try out this relish. 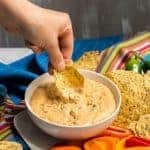 You’ll be wanting to keep a jar of it on hand in the fridge at all times! 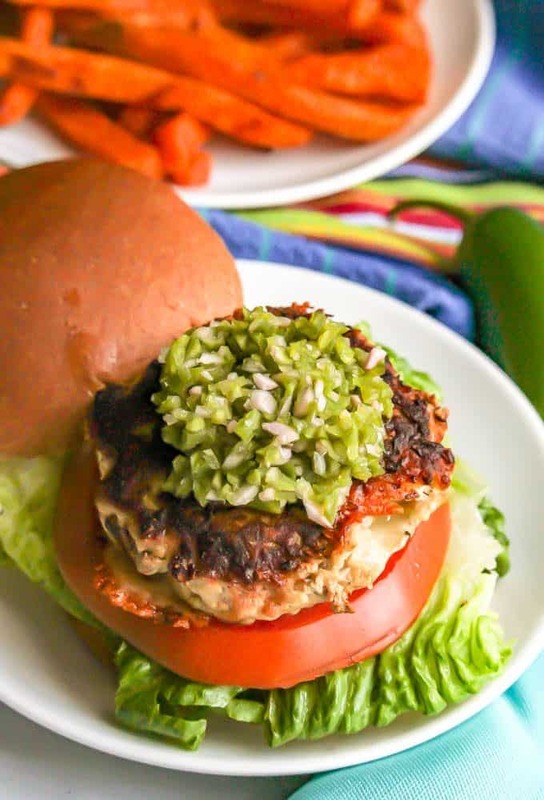 Fresh jalapeño relish is an easy, 10-minute, no-cook recipe for a slightly sweet, slightly spicy topping for burgers, hot dogs, tacos, nachos and more! Transfer the jalapeño mixture to a bowl and stir in garlic, apple cider vinegar, honey and salt. Taste and adjust seasonings. Start with two tablespoons of the vinegar and add the third as needed. It will depend on how much liquid your jalapeños gave off in the food processor. 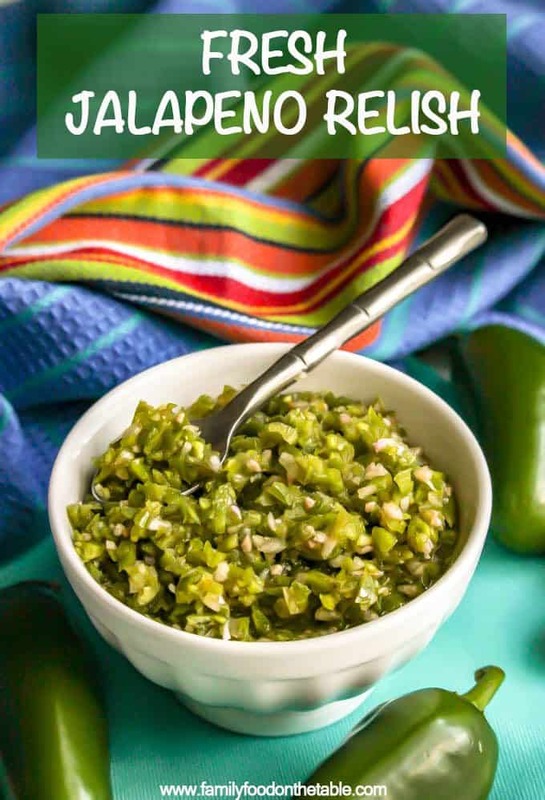 Use this jalapeño relish as a topping for burgers, hot dogs, grilled chicken or fish, nachos, tacos, wraps, sandwiches, rice bowls and even eggs. I really like this idea! I’m going to use up the rest of my summer jalapenos and try it on eggs.